As soon as you step into an office, it’s easy to see that each person has his or her own style of working. Some people naturally gravitate to others and always seem to be in groups. Others are much more efficient if they work at home or in a quiet space. At lunchtime, some people enjoy reading while others meet former coworkers at a new restaurant. How you prefer to work, communicate, and recharge your batteries says a lot about your personality type. And, we’re not just talking about those over-the-top personality surveys you can take on BuzzFeed. By personality type, we’re referring to where you fall on the extrovert-introvert scale. Are you an introvert, extrovert, or ambivert? Introverts are shy and extroverts are outgoing. Simple enough, right? Not exactly. Coined in the 1920s by psychologist Carl Jung, these personality types boil down to energy. For example, introverts are energized by carving out “me time,” while extroverts will seek out the party. Introverts recharge by spending time alone. And, according to a paper written by Wellesley psychologist Jonathan Cheek and his graduate students, there are actually four levels of introversion: social, thinking, anxious, and restrained. Social introverts most closely resemble the common understanding of introversion. They prefer to be alone or to socialize with small groups instead of large ones, however they are not shy and don’t feel anxious around others. Thinking introverts don’t share the aversion to social events, but they tend to get lost in their own thoughts. They’re introspective, thoughtful, and self-reflective. Anxious introverts seek out solitude because they tend to feel awkward or self-conscious around others. And this anxiety doesn’t always go away when they’re alone. They tend to ruminate on things that might have or could have gone wrong. Restrained introverts think before they act. They move at a slightly slower pace, making sure every action is intentional and thought through. Extroverts feel energized by being around lots of people. They don’t mind being the center of attention, however spending too much time alone can drain them mentally. And, just like introversion, there are different levels of extroversion. According to a study published in Cognitive, Affective, & Behavioral Neuroscience, there are two types: the agentic extrovert and affiliative extrovert. Agentic extroverts are the go-getters. They are assertive, persistent, and driven by success. They feel comfortable being in the limelight and take leadership positions when opportunities arise. Affiliative extroverts are the social butterflies. They are friendly, warm, and can easily break the ice with new people. Close relationships mean a lot to them and they tend to have a very large group of friends. Ambiverts are socially comfortable and interactive, yet value alone time. But, they don’t function well in either direction for too long. Balance is key for ambiverts and their preference for introversion or extroversion can change depending on the situation. Still not quite sure if you’re an introvert, extrovert, or ambivert? Take this quiz from organizational psychologist Adam Grant and ask your coworkers to take it, too. There is no right or wrong personality type, but understanding if you are an introvert, extrovert, or ambivert can help you better understand what you need to do your best work. Control your environment: The open floor plan was created to foster collaboration, but along with ease of communication comes your neighbor’s dubstep music and dozens of daily side conversations. The open floor plan doesn’t work for everyone, so don’t feel stuck at your desk. If you need quiet time, seek out a calm office corner or cafe. Or, ask your office manager to designate quiet rooms specifically for people to concentrate. Focus on one-on-one interactions: Group projects and auditorium-sized events can be a nightmare for introverts. Depending on your role, you may never be able to escape large meetings or group work, but you can still make time for more intimate, meaningful conversations in a one-on-one setting. Follow up with the main stakeholder in a solo chat or meet with teammates individually to help improve your comfort level. Slow down: Office life can glorify the go-go-go mentality, but introverts tend to excel when they dive deep into one subject or take their time to really think through a problem. But your team will never know this if you don’t speak up. Make sure to communicate your preferred working style to your manager and raise your hand for projects that align with deeper thinking. Prepare for meetings: There are always those two or three people who dominate meetings. If you wait for a natural opening in the conversation to contribute, you may be waiting forever. To help motivate yourself to participate in meetings, review the agenda ahead of time and jot down some things you want to say. And, make sure to get them in early as meetings can easily go off-topic as they progress. Seek out activity: A quiet office can be deafening. You need the white noise of music, chatter, and movement to get the creative juices flowing. If you aren’t feeling inspired at your desk, slip out to a coffee shop. Yes, just like your counterparts (the introverts), a coffee shop can work for any personality type. After all, who can say no to coffee and pastries while working? Another option: take a break, get outside, and walk around the block. Sometimes all you need is a change of scenery to feel refreshed. Embrace the busy, but be careful: While some may get stressed out from a growing list of to-dos or jumping back and forth between meetings, you relish the challenge. Use this to your advantage by offering to take on larger projects with many moving parts. But remember: it’s easy for extroverts to go overboard. While being busy motivates you to do your best work, set boundaries so you don’t burn out. Schedule a social hour: You get energized from social interactions, but meetings don’t always qualify as “social hour.” Make time in your day to intentionally connect with others. For example, have lunch or coffee with someone new every week. This is especially important for extroverts who work in a distributed team and don’t have a natural outlet for socializing. If you work remotely, take advantage of the flexibility and work in a coworking space, take a daily group fitness class, or attend networking events in your area. Block off time for reflection: You thrive on multitasking and checking things off your list, but that usually means you jump from task to task without reflecting on what you just accomplished. So, after a big milestone, block 20 or 30 minutes on your calendar to think through what worked, what didn’t work, and analyze results. Leverage your flexibility: Ambiverts can usually feed off the energy of those around them. Because you have a bit of introvert and extrovert in you, you can easily adapt to a social, boisterous environment and also relish a quiet, thoughtful mood. While optimizing for your own productivity, consider the styles of the people you interact with and stay flexible so you can meet your own needs without compromising theirs. Experiment and find what works for you: Depending on where you fall on the introvert and extrovert spectrum, you may find that some of the above tips resonate more with you. Or, your mood may change depending on the day. 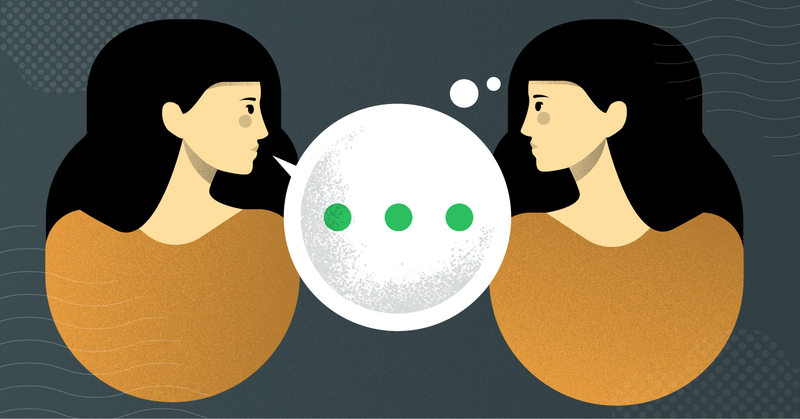 Pick and choose from tips for both introverts and extroverts to find what suits you. Or, you could try them all out and see what works. These tips are designed to optimize productivity based on your personality type, but they should not force you into the introvert or extrovert corner. Remember to push yourself outside of your comfort zone and try things that feel scary or uncomfortable. For example, introverts may find that a little bit of office socializing goes a long way in forging better relationships and increasing their visibility with leadership. And extroverts may find value in sharing the spotlight and learning how to delegate. Few of us are pure introverts or extroverts. We generally fall somewhere in the middle, complete with our own individual quirks and habits. While we do tend to associate with one side more than the other, that should not overpower the need for collaboration in the workplace. Introverts may not always have the luxury of quiet, deep thinking. Extroverts may have to work on projects individually. Both sides need to compromise, and that’s okay. That just means when you leave the office, you can go back to that good book you were reading or meet up with friends for happy hour. You’ll recharge in your own way and come back to the office the next day ready to adapt to everyone’s unique personality types. Are you an introvert, extrovert, or ambivert? How do you maximize your productivity based on your personality type? Share your thoughts in the comments below! You have something to accomplish. We publish stories, tips, and tricks to help you do it. "Taking Note" features insights and encouragement to help you regain control of your days, lead a more satisfying life, and focus on what matters most.